Healthcare Franchise | Am I the Right Fit for OrthoNOW? Healthcare Franchise | Am I the Right Fit for OrthoNOW? Am I the Right Fit for OrthoNOW’s Healthcare Franchise Model? Many medical entrepreneurs recognize the financial benefits of opening a healthcare franchise, but not everyone has the right talents and assets to be a good fit. At OrthoNOW, we want to make sure your investment in opening a health care franchise is the best fit for your skills and overall goals. Much the same as you research and ask questions prior to investing, we too research entrepreneurs like you to determine if they are the right candidate to own an OrthoNOW franchise. Business builders understand the importance of researching all opportunities before deciding on a franchise to invest in. Before you begin researching lenders and looking for finance option consider if you have the qualities our franchise owners possess. At OrthoNOW we have a mutual investment in our franchise partners. It is important that each franchise owner represents the qualities listed above in order to promote the success of the brand. If you think you are aligned and are a good fit to be an OrthoNOW franchise owner contact us today and begin the conversation with your Franchise Discovery Representative. 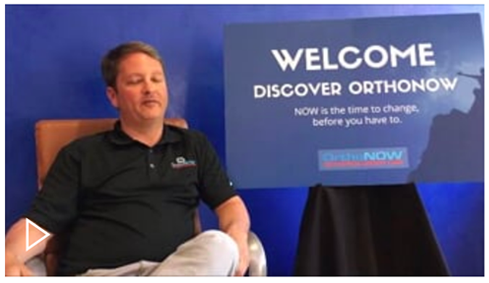 The purpose of an OrthoNOW Discovery Day is to expose interested entrepreneurs, health professionals and investors alike to the business strategies that make OrthoNOW a proven business model. Click here to learn more about our Discovery Days.